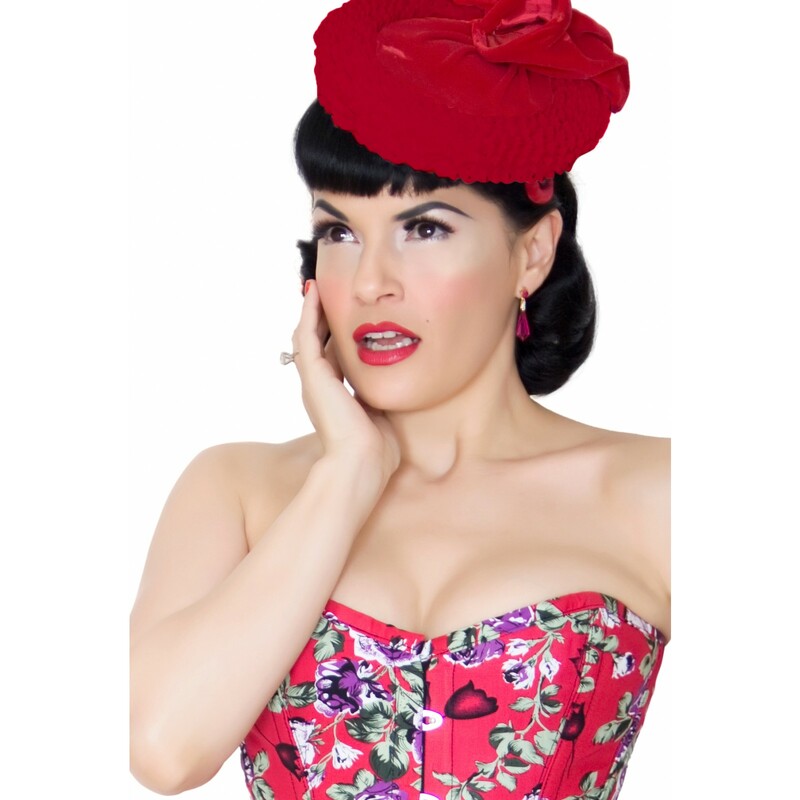 This red floral corset is made from 100% cotton to keep the wearer cool on long hot summer days. The beautiful print is ideal for everything from a formal event to a naughty evening in the boudoir. The corset is designed to emphasise the wearer's hourglass figure and by combining the matching skirt with this corset, it further emphasises the hourglass figure.